The week looks to be ending on a positive note with US futures higher and the Nasdaq on pace for its 10th straight week of gains. In economic data, Personal Income and Spending both missed estimates, but the big report of the day will be ISM Manufacturing at 10 AM (consensus estimate- 55.8 vs 56.6 last month). As long as the Nasdaq doesn’t finish down five points or more today (it’s currently indicated up by 50), this will be the tenth straight positive week for the index. 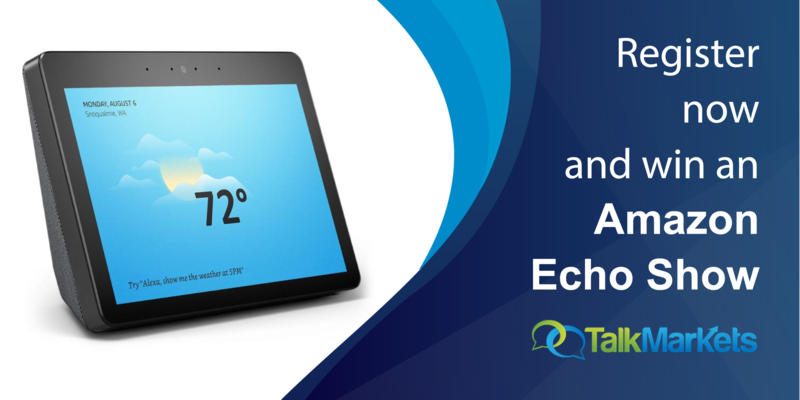 The last time that happened was nearly two decades ago in 1999! 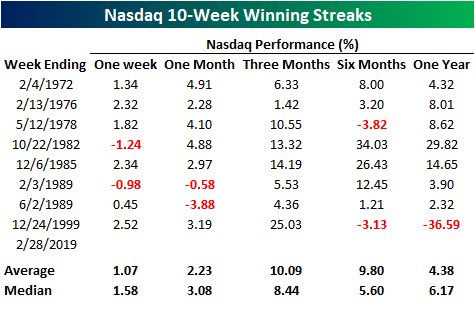 Below are all of the ten-week winning streaks for the Nasdaq as well as its performance following the tenth straight up week. Interestingly enough, of the eight prior ten week streaks, six went to eleven or more. As shown, the average performance the week after the 10th straight positive week was a gain of 1.07% (median: 1.58). Even more impressive is the fact that three months later the Nasdaq was up every time for an average gain of over 10%! Looking further out, six-month and one-year returns are a little more muted, but the only time the Nasdaq was down one year later was after the last streak in 1999 when it fell more than 36%!